Mini Beer Review: The Southern Tier Brewing Company is based out of New York and is responsible for many multi-layered beers. The PUMPKING seasonal offering has been on my radar for a few years and I just finally had an opportunity to sit down and indulge. Who says October needs to pass us by so quickly? Appearance: The rich copper colour is quite appealing and traditionally expected from the majority of pumpkin ales. Scent: Pumpkin pie, nutmeg, cinnamon, vanilla and butter. It’s certainly easy on the nose. Taste: Smoothy and creamy. The taste of pumpkin is initially very prominent, but then slowly starts to reveal other flavours such as a pie crust, vanilla bean and candy corn. Overall: This was one of my final new pumpkin ales of the season and I was not at all disappointed. The 8.6 ABV is hidden rather nicely, but still manages to appear when appropriate. While this particular beer might be considered too sweet for some, I would still highly recommend picking up a bottle or two. Mini Beer Review: If you’re a true beer enthusiast, you are likely well aware of the reputation Dogfish Head Brewery has rightfully earned. 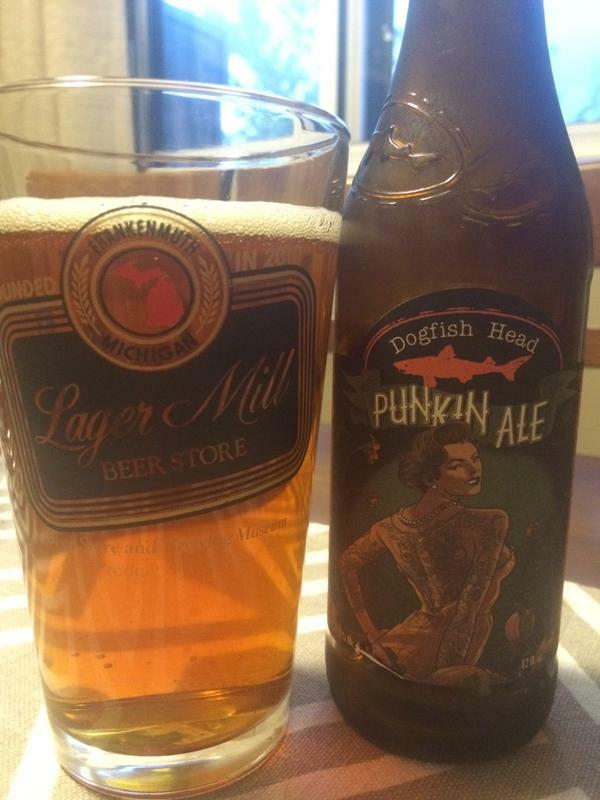 In fact, this particular pumpkin ale is often regarded as one of the best in the North America. So does it live up to the hype? Let’s take a closer look! Appearance: At first glance, the colour is truly stunning. The medium amber hue embodies a true pumpkin ale. Scent: Initially, brown sugar and nutmeg jumped out at me, but I also eventually caught some pumpkin on a second attempt. Taste: During my first sip, the pumpkin flavour was quite subtle, but eventually settles in nicely along with the additional spices. Overall: Add this to the endless pile of overwhelming positive reviews. It easily ranks among the Top 3 pumpkin ales I have ever consumed. I was shocked that a beer with a higher percentage of alcohol could be so drinkable. A winner on virtually every level imaginable. Mini Beer Review: This seasonal brew is courtesy of the Toronto, Ontario based Great Lakes Brewery. Putting aside my obvious love of pumpkin ales, I was instantly attracted to their effective use of branding. At 650ml per bottle, it’s just enough for a few pints worth of fall. Appearance: Most pumpkin brews possess a natural amber colour, but this was closer to a darker golden shade. Scent: The nutmeg immediately jumped out followed closely by malty sweetness. Taste: The first mouthful went hand and hand with the scent mentioned above. It starts off fairly spicy and finishes with a sharpness that leads to a slightly bitter aftertaste. Overall: Great Lakes Pumpkin Ale is both drinkable and well balanced. While it lacks that definitive pumpkin taste of my all time favourites, this is still arguably one of the better seasonal offerings available in Canada. Due to an unbearable head cold, Talking Combat with Chris Toplack has been cancelled this week on MMASucka.com. It’s been a week long battle and figured I would tough it out, but symptoms got worse and the entire morning has been spent on the couch. Despite not being able to provide you with another quality show, I still wanted to blog about some content that would have been included. 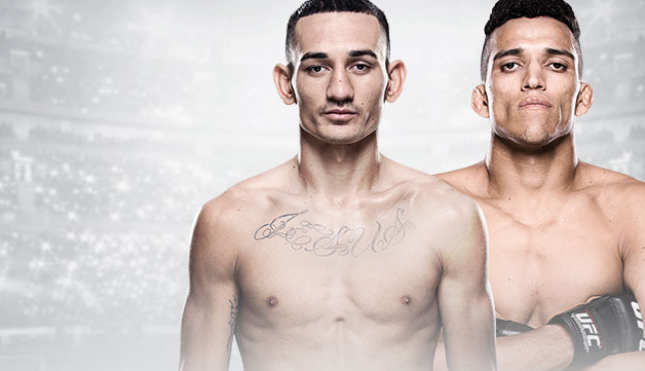 Below is a weekly recap along with a few predictions for UFC Fight Night: Holloway vs Oliveira. Aldo-McGregor set for UFC 194 on Dec. 12 at MGM Grand in Las Vegas. With the matchup officially happening, UFC officials will now just need to find a time and date for the bout to occur, with anytime between late 2015 and early 2016 most likely to land the heavyweight title fight. Rafael dos Anjos vs. Donald Cerrone Confirmed For UFC on FOX 17 In Orlando this December. Rick Story was forced to withdraw from his upcoming co-main event with Erick Silva this Saturday in Saskatoon. Rick’s replacement will be Neil Magny. On Thursday, the attorney of Anderson Silva claim a “tainted” sexual performance medication was the reason he tested positive for performance-enhancing drugs. Did this hold up? Nope! Anderson Silva suspended one year and fined $380K. Silva’s victory over Nick Diaz to a no contest. Mind you, this was handed out retroactively so it carries over from his January fight. This means he cannot compete until Jan 31, 2016. Joe Rogan: “UFC will probably add more weight classes, starting with 195 pounds.” Via Bloody Elbow. More below…..
Also on Thursday, Raphael Assuncao underwent surgery on one of his ankles. One of the many setbacks he has faced within the past year. Will Ronda ever return to the squared circle? She answered that question on Reddit. During an appearance on the Great Debate MMA Podcast, Welterweight Matt Brown believes Jon Jones could be Heavyweight Champion if he wanted to be. UFC Fight Night: Holloway vs Oliveria takes place this coming Sunday, August 23rd from the SaskTel Centre in Saskatoon, Saskatchewan, Canada. For those unaware of Canadian geography, it’s taking place in the prairies. Here are the co-main and main event predictions! Coming off his recent lop-sided loss that came via submission to Demain Maia, Neil Magny is hoping to rebound in a big way. Prior to that set back, he was on a 7 fight-winning streak with the hopes of jumping into the Top 10 rankings. Erick Silva is undeniably one of the UFC’s most exciting fighters at 170 pounds. Despite trading wins and losses during his UFC tenure, he’s ALWAYS dangerous. Silva is hoping to extend his winning streak to 3 and take a shot at some top opposition. It all starts with Magny. Magny has completely evolved from the fighter we once saw on The Ultimate Fighter. He is more well rounded by the day and patience will be one of his main keys to victory. Silva is ultra aggressive and whether the fight is contested on the feet or winds up with a scramble on the mat; he’s looking for the finish. I see this reckless strategy paying off with a TKO or Submission victory. A victory for either man catapults them into a potential top contender match up. Since losing to Conor McGregor almost 2 years ago to the day, Max Holloway has compiled a 6-0 record with 5 stoppages. At merely 23 years ago, the sky is still the limit for this kid and this is undoubtedly the best version we have seen to date. A notable difference has been the power he packs behind his punches. It was rarely seen and now a focal point of his recent bouts. Charles Oliveria has won 4 in a row with three of those victories earning him Performance of the Night bonuses for his spectacular submission stoppages. If this fight goes to the ground, it’s automatically in Oliveria’s wheelhouse and very few can survive. I really make a conscious effort of keeping these predictions fairly simplistic, as there is no reason to dive in depth and discuss fights on a systematic level. So, with that in mind, it leads me to the following. If the fight remains standing, Max Holloway emerges victorious. If the fight goes to the mat, Oliveria gets his arm raised. One thing is for sure; this fight will not go the distance. Too much is on the line. After nearly 2 and a half years, the final episode under the Ultimate Fighting Weekly banner has been posted. Next Sunday (July 5th) marks the debut of Talking Combat with Chris Toplack. Kudos to my friend James Lynch for assisting me with the naming process. I went through a long list of ideas, but I’m a firm believer in simplicity. While the UFC will continue to be my primary focus, there will also be a little room to discuss other events in the world of combat sports. You won’t notice too many format changes, but I will be introducing a couple fresh segments. I’m also going to make a conscious effort to bring on more guests from time to time. The liners will still feature voice over artist Chris Ackerman and Geoff Thompson once again designed a brand new set of logos for the show. In fact, the new logo will appear on t-shirts which should be available within the near future. Aside from that, the show will now air earlier than usual. It can be heard every Sunday on MMASucka.com at 12pm EST as opposed to the typical 3pm EST with Ultimate Fighting Weekly. I recently started a new job and the role involves some travelling so I’ll try my very best to ensure a new show is available every Sunday. If I miss a week here and there, it’s likely work or holiday related. If you’re hoping to listen to past episodes, the Ultimate Fighting Weekly archives can be found on my website, ChrisToplack.com. All episodes of Talking Combat with Chris Toplack will air exclusively on MMASucka.com and will still appear on this personal website too. Thanks for your continued support and I can only hope that you will join me on this new journey! I am proud to announce that I have recently partnered up with Mission Belt to give away some of their products on Ultimate Fighting Weekly. I personally own three of their belts and plan on adding to my rapidly growing collection. Not only are the belts stylish and easy to use, but this company supports a great cause. A dollar from EVERY belt sold goes to fight global hunger and poverty through micro lending. 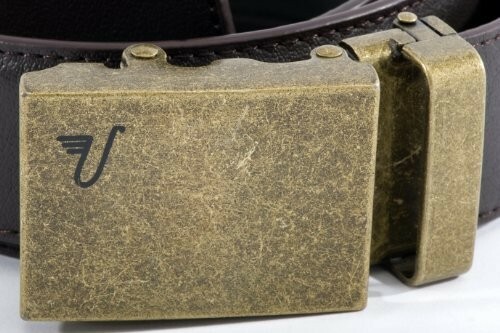 Check out all of their gear at www.missionbelt.com and also stop by their social media outlets. 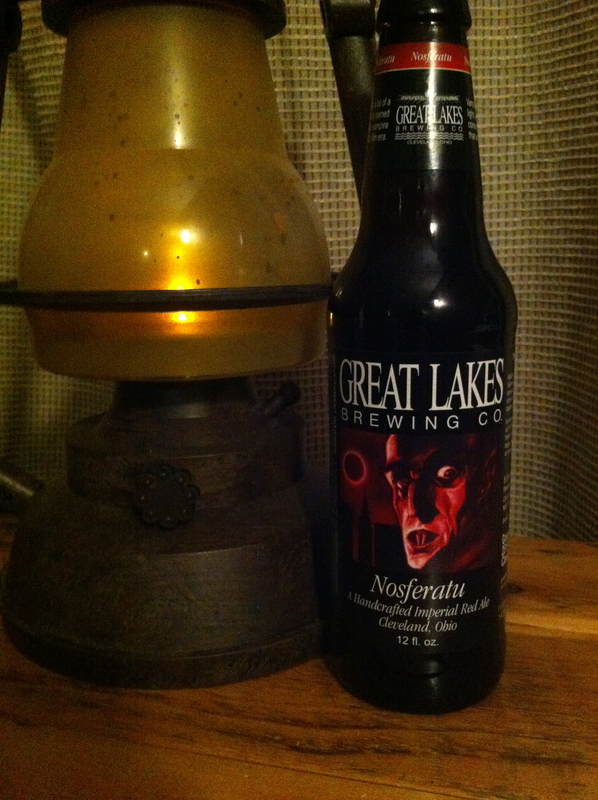 Often hailed as one of the finest breweries in America, Great Lakes only release this Nosferatu Red Ale during the fall season. The Internet community has met Great Lakes Nosferatu with critical acclaim and I was eagerly awaiting my first pint. that. Never the less, it’s truly stunning and easy on the eyes. Scent: It’s fairly sweet with a prominent mix of caramel. Taste: The first couple of sips were quite bitter, but eventually the sweetness settles in with hints of fruit and citrus. The aftertaste is extremely hoppy with a hint of smokiness. Overall: Is Great Lakes Nosferatu worthy of the wide spread praise it has been receiving? Absolutely! Everything about this particular brew is unique and the flavour combinations were outstanding. Once you get past the first couple of sips, you are in for quite the treat. On my recent trip to Frankenmuth, Michigan, I picked up this beer along with many others that cannot be located in Canada. I’m always anxious to consume new brews and cracked this open during a delicious lasanga dinner. 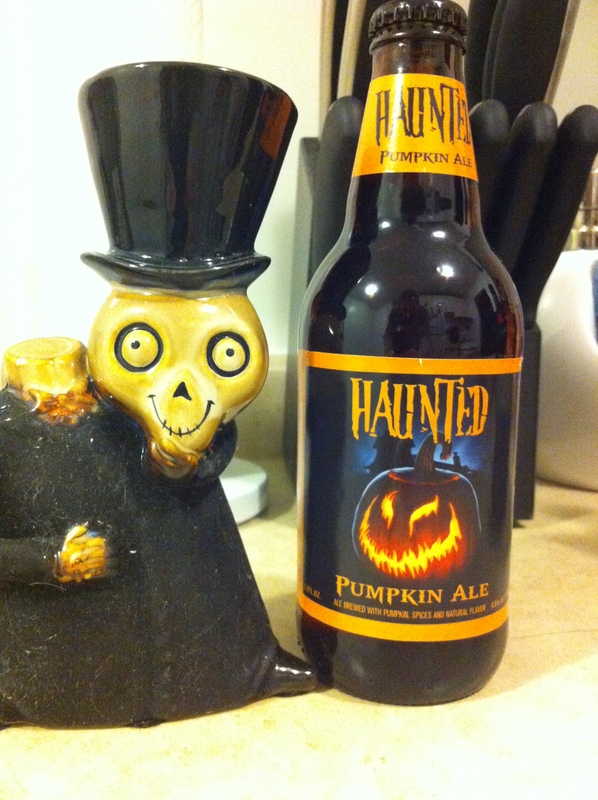 Taste – I picked up on hints of bread, malt and nutmeg, but tasted very little pumpkin. Overall – While this beer is extremely drinkable, I found it rather difficult to classify it as a ”pumpkin ale” since it contained very little pumpkin flavour. That being said, I would certainly be willing to pick up this beer again. Side note: As an avid fan of advertising, I must provide this company with the appropriate amount of praise for the creative and visually pleasing labelling. 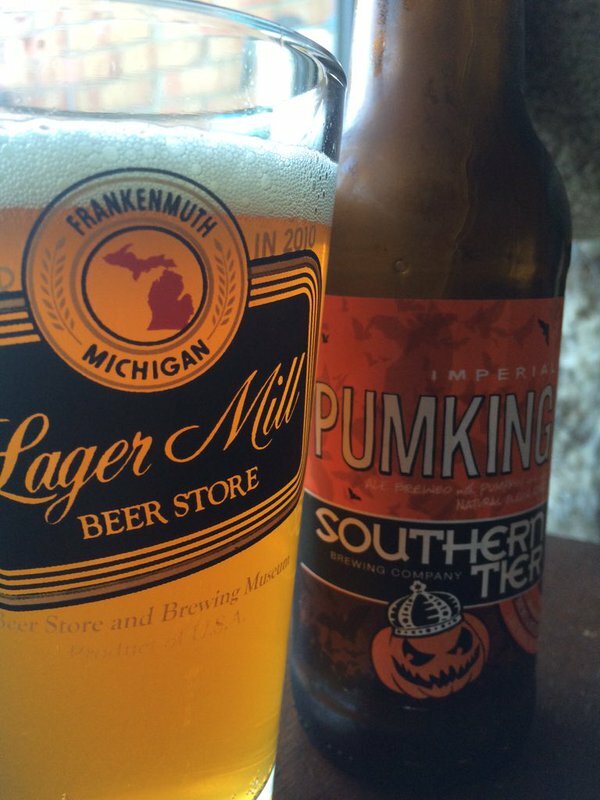 Mini Beer Review: Mill Street Brewery’s “Nightmare on Mill Street” Pumpkin Ale. Appearance – A beautiful copper colour with a sizeable amount of foam that quickly dissipates. Taste – I instantly picked up on the hints of cinnamon, vanilla and pumpkin. It’s creamy with a light bitterness throughout and extremely drinkable. Overall – Over the past year, Mill Street has quickly become one of my favourite breweries. They have never disappointed me with their high quality efforts and attention to detailing from both a brewing and branding perspective. I highly recommend this beer and would easily call it one of the best and most complete pumpkin ales available. Ever since I was a young child, it was distilled in me to believe that hard work will eventually pay off. We are constantly tested by this theory and at times it seems inaccurate, preposterous and unobtainable. Perhaps it’s merely impatience or the fact we witness others get ahead in life due to nothing other than luck, but we start to doubt the concept of hard work. I was reminded of a vivid memory at a basketball camp when I was 13 years old. It was honestly the most gruelling two weeks of my life as despite my size and skill set, every other kid was more talented and more physically imposing. I instantly became the proverbial underdog and knew that hustle was my only key to survival in this land full of giants. I spent the majority of my tenure at basketball camp feeling beat up, exhausted and left behind. As the camp wrapped up, the counsellors handed out awards to each player. Many of these awards included creative or humourous titles with an inspirational meaning behind them. Last but not least came my award. I frantically went through all of the possible outcomes in my head, but none of which seemed positive or significant. “Chris Toplack wins the Charlie Hustle Award for being the hardest working kid in the entire camp.” My award was met with applause and praise. I was shocked and amazed that these talented players were congratulating me and in full agreement that I worked harder than anyone else. Truth be told, I ended up with some pretty respectful statistics that summer. Despite all of my professional accomplishments, this moment is among my most precious. Why? It’s a pure example that yes, hard work DOES pay off.